Happy Wednesday! I hope you're having a great week so far! 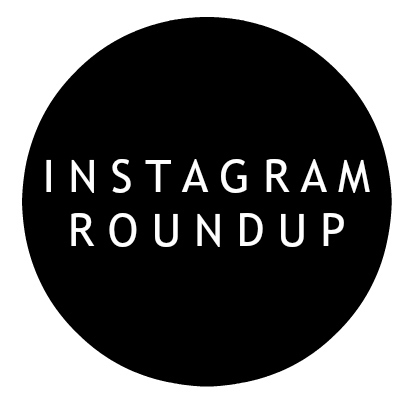 Today, I'm sharing my weekly Instagram Roundup, including the outfits I wore last week plus my Target run(s). 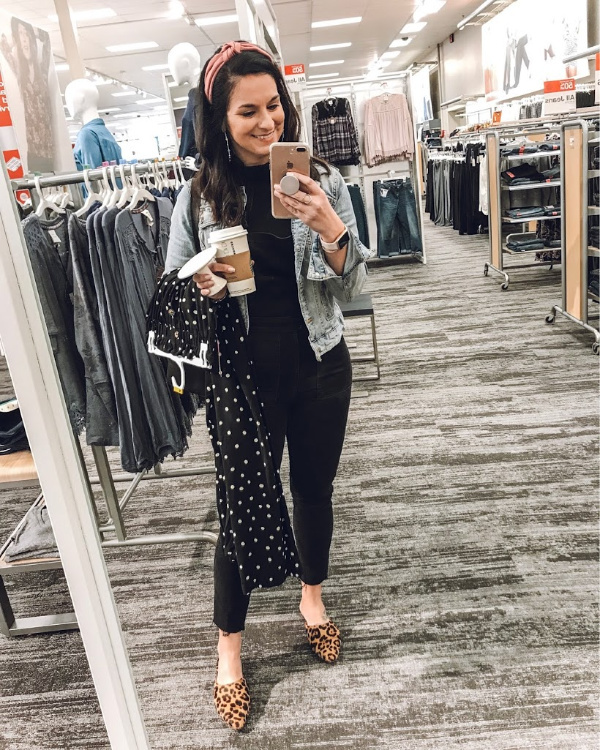 My first Target run of this post was a trip to pick up these polka dot pants that I am currently loving! They are true to size and can be styled so many fun ways for winter and spring. I also picked up the cutest mini cake stand in the dollar section. I'm planning to use it as a candle holder in my kitchen! 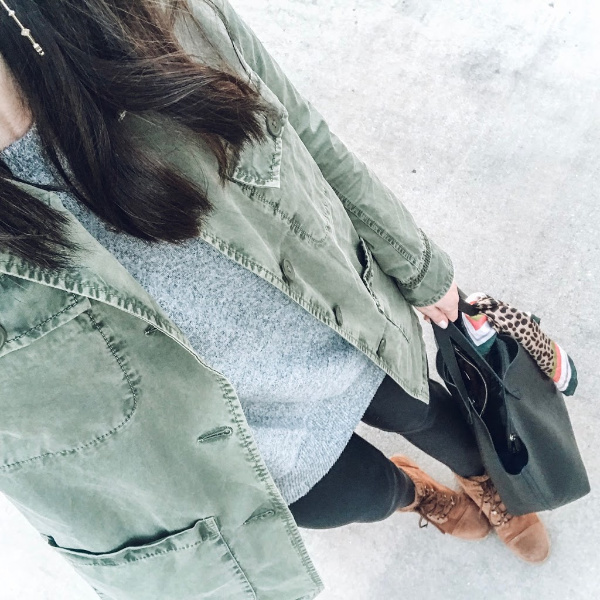 A utility jacket is definitely a closet staple. I find myself wearing mine during the fall, winter, and spring. It's a fun alternative to a denim jacket! 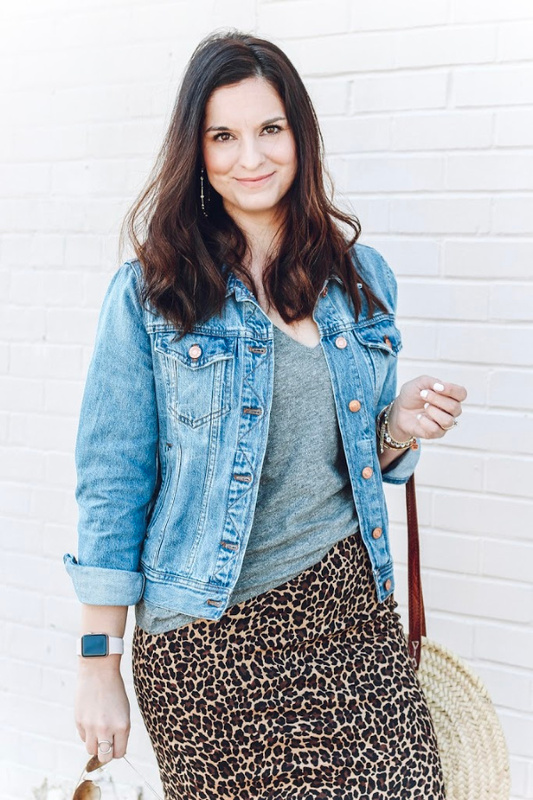 This outfit from my six ways to style polka dot pants blog post was the crowd favorite! 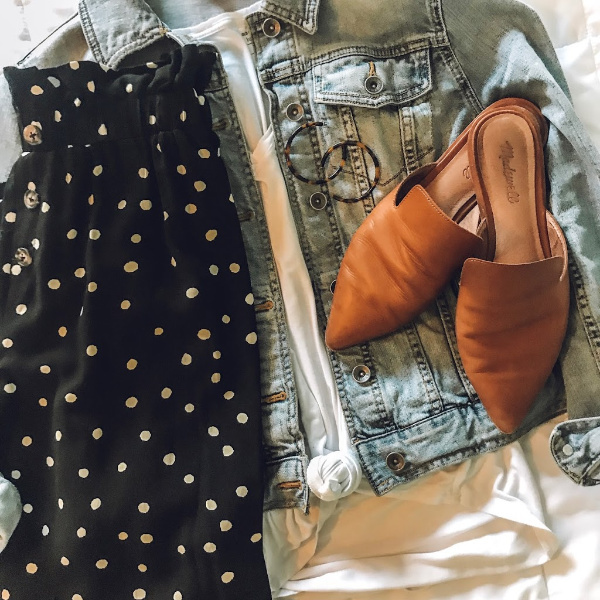 It's an easy, casual way to wear polka dots. I will be wearing this exact look soon! 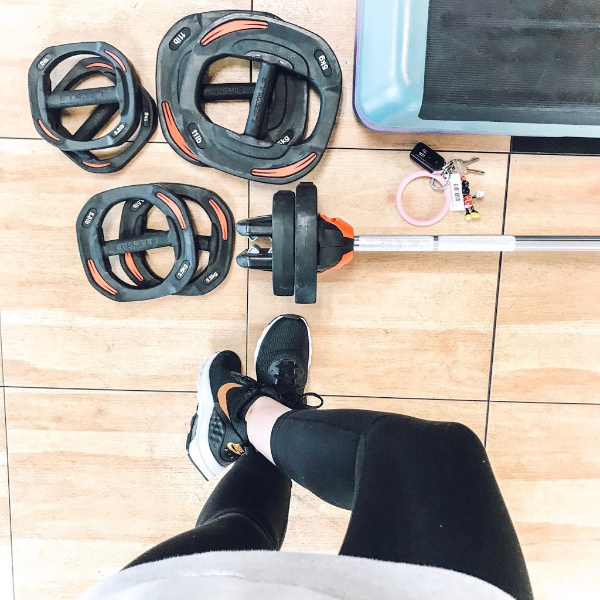 If you watch my Instagram stories then you know that Les Mills Body Pump is my favorite workout. It's such a great combination of cardio and strength training. I go to Body Pump three times a week at my local YMCA and I also try to squeeze in at least once cycle class a week too. 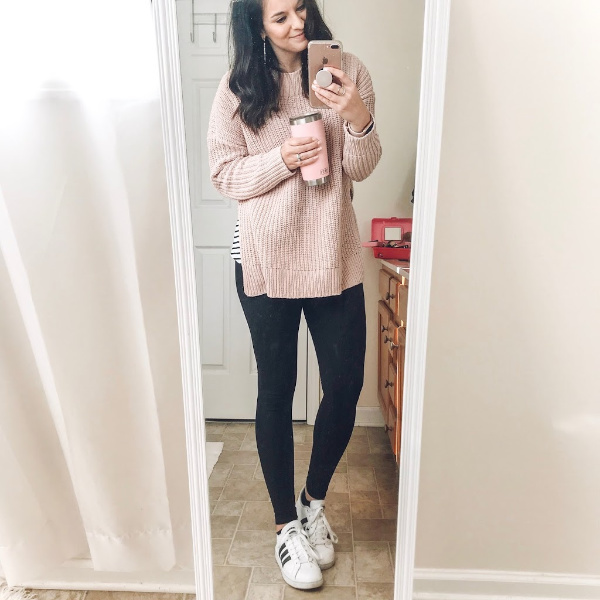 My favorite kind of mom uniform... a cozy oversized sweater, leggings, and sneakers. It just doesn't get more comfortable than this for mom life! Target run! I always love seeing what others are picking up at Target. 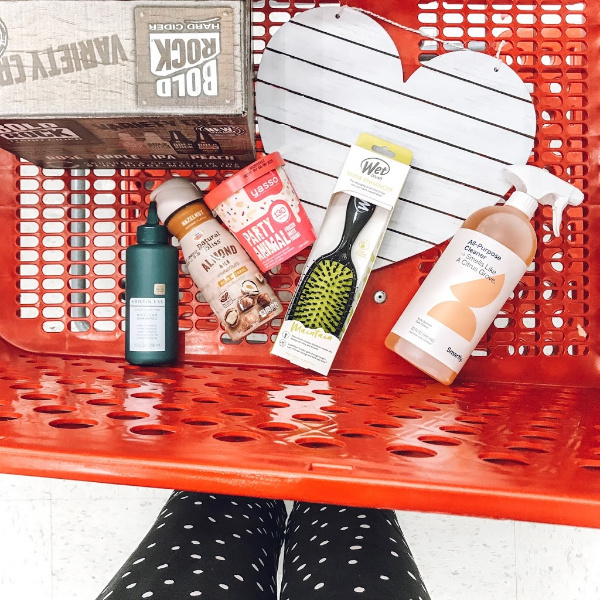 This cleaning spray smells just like Capri Blue from Anthropologie and it's under $2! The hairbrush is the life changing one from this blog post on Monday. It's a must have!